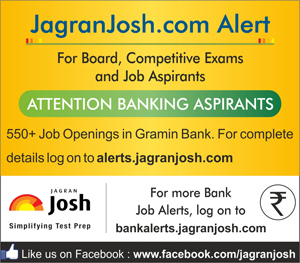 Recruitment notification for 554 Officers in Gramin Bank. Eligible candidates can send their applications online before 26 February 2015. Eligibility Criteria is to be considered as per RRBs CWE-III Advertisement published in Employment News/Rozgar Samachar Issue Dated 28th June–4th July, 2014released by IBPS and posted on the IBPS’s website www.ibps.in.